If you haven’t watched Nick Rogers’s documentary on the Arkansas origins of cheese dip, you should. We talked about this a while back when the documentary first came out, and I think it bears re-watching, especially where I’m about to go. This photo isn’t from Arkansas. It’s from Terlingua, TX, from the World Championship Chili Cookoff by the Chili Appreciation Society International (which I’ve been blessed with the opportunity to compete in on the local level). Thousands of people come out to enjoy this nationally recognized competition each year -- to compete and see who has the best chili. It’s a Big Deal. There are all sorts of competitions for this and that across the United States -- and these contests tend to be regionally focused. You’re going to find who has the best Key Lime Pie in the Florida Keys, right? The best barbecue in Memphis. The best this and that wherever. But what has Arkansas laid claim to? Well, we do have the whole foods -- the melons, the rice, the peaches, the PurpleHull peas. Magnolia hosts an annual World Championship Steak Cookoff that’s gained some renown. I personally have advocated that pies may be one of our state’s greatest food assets -- but that’s my own personal opinion. And recently I’ve waxed on about the Arkansas Reuben. 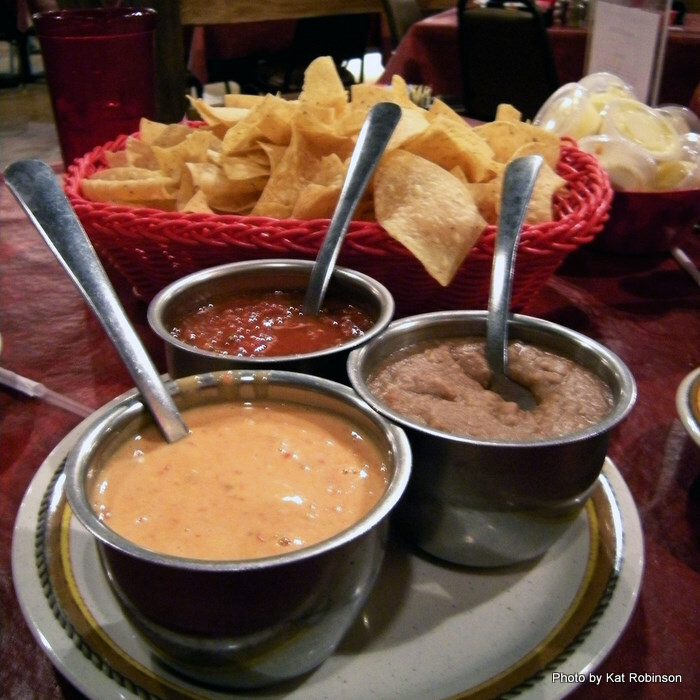 But really, when you come down to it, Nick’s research into the origins of cheese dip trump it all. And no one’s really challenging his theory that cheese dip originated with Blackie Donnelly and Mexico Chiquito in the 1930s. I don’t date back that far myself, but I can recall cheese dip being part of my life from my earliest age. The friends I have that grew up in Arkansas all recall cheese dip as something special they’d have, whether at a restaurant or at home made from Velveeta and Rotel on the stove (and later in the microwave) -- this is a memory that not all of my out-of-state-born friends share. So, cheese dip is from Arkansas. Well, what are we going to do about it? That’s the thing. We should promote it. I mean, really, every time I ask the question of Facebook fans “what’s the state food of Arkansas?” I get answers like catfish (from Mississippi), chocolate gravy (the Ozarks), cathead biscuits (well, they may have me there, but I’m still researching this) and such. Few foods fit the bill. For instance, the cheese-filled hot dog apparently was born in North Little Rock -- but when’s the last time you ate one? Atkins has a very good claim to being the birthplace of the fried pickle, but other states debate this. There’s Grapette outta Camden (that’s worthy of another story sometime), muscadine wine, pulled beef and pork barbecue served with slaw on a sandwich, mayhaw jelly, rice with sugar, sassafras tea, possum pie and Yarnell’s Ozark Black Walnut ice cream. But none of these have the power of cheese dip. Why’s that? Well, almost everything on that list can be traced somewhere else in some form or fashion. There are other grape sodas; other people eat slaw with their barbecue and you can find mayhaws in Louisiana. Native Americans all over the South and Midwest have been using that great sassafras tree for generations and anyone with a recipe can whip up a possum pie. And while Yarnell’s is the only one doing Black Walnut as an ice cream flavor now (as far as I know) that could change. Check out the event’s website… it has more information you really should see. It’s the history. 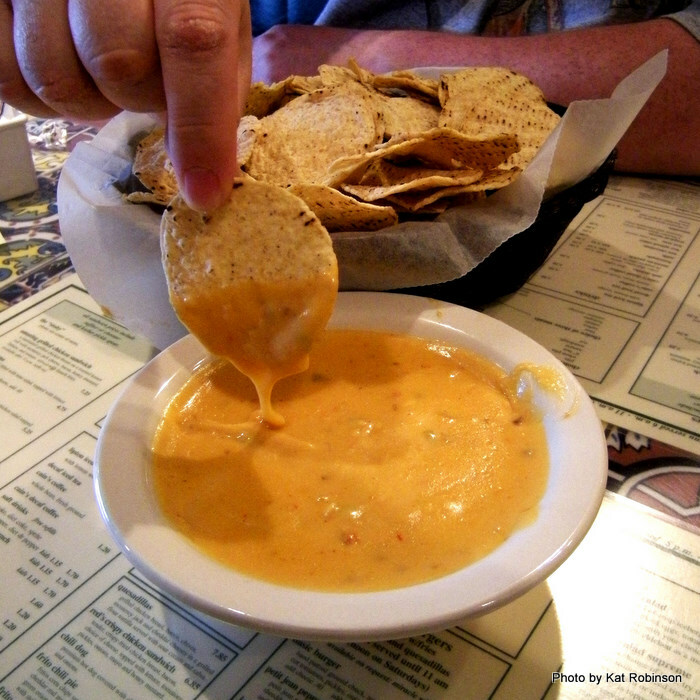 It’s the fact that until my generation you really didn’t see much cheese dip (and we’re talking cheese dip, not chili con queso like they have out west with meat in it) outside of Arkansas. What we consider to be a natural part of our dietary consumption today just isn’t considered so elsewhere. Trust me -- when I asked some of the folks in Door County, WI if they ever had cheese dip at a party, I got weird looks and a “why the heck would you do that?” reaction. More importantly, it’s the timing of things. I sat down with Nick Rogers and John McClure to talk about this event coming up, the First Annual World Cheese Dip Competition. It’s going to be held at Dickey-Stephens Ballpark starting at noon on October 9th. 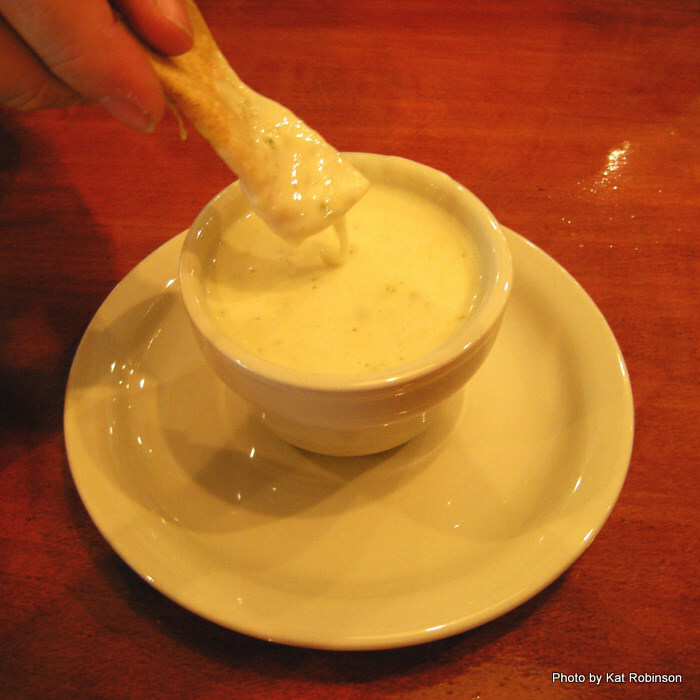 They’ve already pulled in half of the competitors they expect to participate in the big to-do -- more than 50 restaurants and individuals who are going to compete to see who’s got the best cheese dip around. Thing is, it couldn’t have come at a better time. Velveeta and Rotel are getting together -- they’re getting a national campaign going to celebrate cheese dip. There are a lot of dollars involved, a whole lot of publicity. And thanks to Nick and John that attention is going to be focused raht cheer on the Greater Little Rock Metropolitan Area. Folks are going to see what we’re really all about here. There are two categories -- one for professional chefs and restaurants, another for individuals like you and me that might have a pretty good recipe they want to try out. These folks are going to sit their booths up along the concourse at Dickey-Stephens and serve up samples of cheese dip to the thousands expected to attend. And it’s not all that expensive -- a $5 donation for the average Joe, or $10 if you want to join The Southern Cheese Dip Academy and have some voting power to determine the winners. Those winners have a lot of prizes they’re going to want to take home -- the specially made platter-trophies by Arkansas artist Julie Holt, the prize money, the trip to represent Arkansas in the New Orleans Road Food Festival. It’s a big deal. Which brings me back to Terlingua. I have yet to go. I want to go. Every time I participate in a CASI sponsored chili cookoff I thumb through the photo albums of pictures taken by my fellow chili-chefs and gawk at the fun and debauchery set out on a windy Texas plain in November. It looks like the best tailgating weekend you’ve ever had, combined with a weekend sleepover or road rally, a gigantic sea of people from every walk of life who share this one common interest. Thing is, that many people traveling that far -- that’s a whole lot of money there, money spent on lodging, on food at local restaurants, on supplies at local grocery stores and on souvenirs from local shops. And we could have that here. That is, if it catches on. 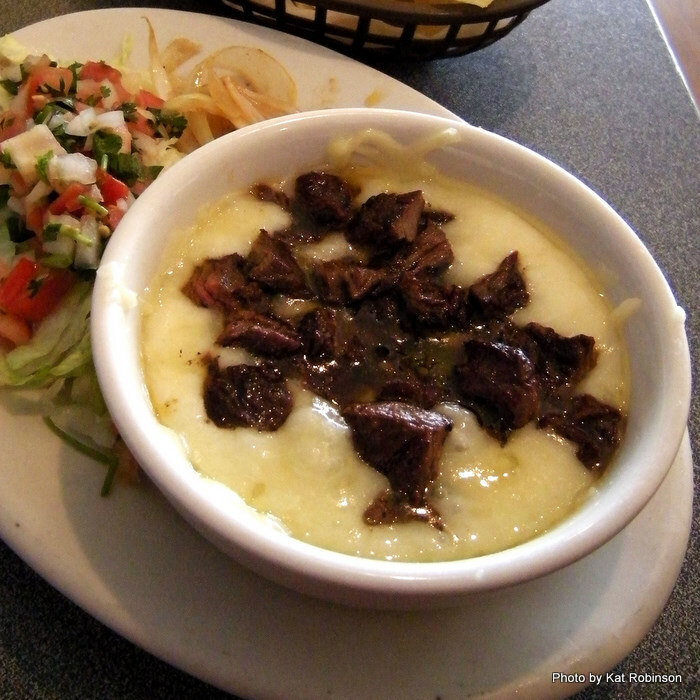 And I think there’s a good possibility the World Cheese Dip Competition will. I can see in a few years entrants coming from the big cheese states like Wisconsin, from France and Switzerland, from South America and all over Mexico to compete. I could see regional head-to-head action and bragging rights from our favorite restaurants. 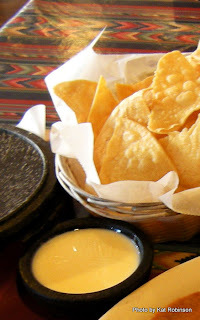 The subliminal cheese dip culture could come to the surface in a really big way. So I’m urging you to check out the event. I’m even taking time away from my normal weeklong sojourn at the Arkansas State Fair just to spend the evening among the masses, listening to music and watching the Hogs play and sampling all those different dips. I’m very excited about the whole thing.